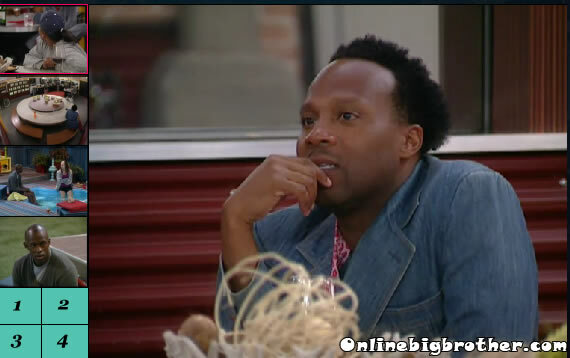 Big Brother 13 live feed Gallery for July 13th 2011. Each minute we take a series of screen captures from each Live Feed cam in the house and upload them to our Gallery every 10 minutes. This system runs 24/7 expect thousands and thousands of Screen Captures every day. Alerts are sent out via our Twitter account @BigBspoilers and Facebook page.